No more slogging in the kitchen. In a 2L cooker or 3L, whatever is at home add 450 grams of room temperature, unsalted butter. Cook on high for 8 mins. You will notice that the lap timing between whistles would be 7-10 seconds. As it gets closer to 8 min mark (or slightly soon or slightly later), the whistle would take longer than 25 seconds to come. Once the timing has gone past 25 seconds, switch the stove off then, let pressure settle on its own. Golden ghee ready. on that note though, whats the best way to wash the cooker afterwards? And traditional method takes way more than 8 mins. I usually hand wash all my stainless steel utensils including pressure cooker. I have an aluminum pressure cooker, 5L. Anyway, this unsalted butter, is it equivalent of the home made white butter ? Another way to make quick ghee, if you have a lot of malai saved, is to simply heat up the malai and you get ghee floating on top within a few minutes. Strain it and there you go. In Punjab (and most of north india), this is done without pressure cooker.. why do you need pressure cooker for this?? totally unnecessary !! all it needs is constant heat. It's actually easier than boiling water.. Just put butter in a kadhahi (Indian version of wok) and heat on medium flame for as long as ghee appears and milk solids separate. on the other hand until I married, I had not seen anyone boil eggs in a cooker either! Better half does the same. Only she frequently forgets and the thing spills over to the electric stove leading tosmoke. It's exactly same as homemade butter. Isn't malai cream? You won't get ghee by heating up malai. You will need to make makhan first...butter first and then ghee. Why don't yo try my way and see if it's any easier? 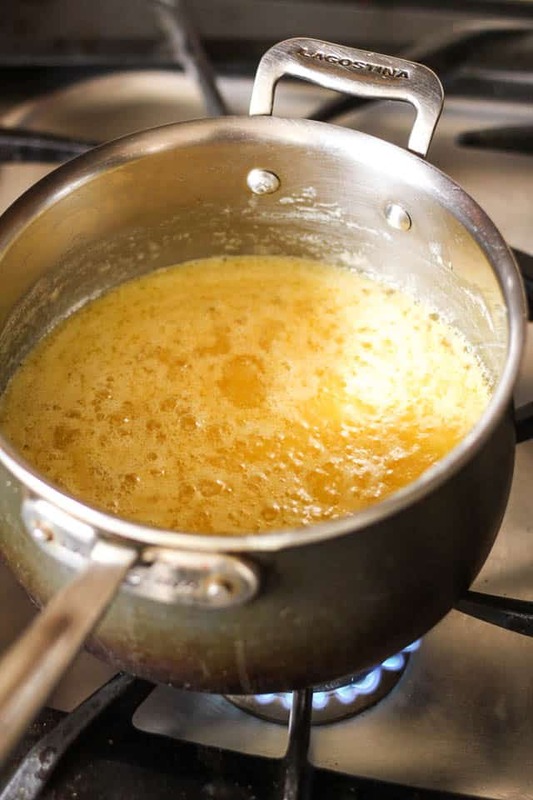 From my experience, it takes long for the butter to melt, water to evaporate and ghee to form. If you don't keep an eye, you end up with a burnt up bottom. How about you try my way and see?? Butter is less than $3... for me. Pls try. K4, cooking things like this in a cooker with little or no supervision is a new technique. Pressure cooking is old but understanding it and using it to its full potential is new. I make my own dish washing liquids using washing soda, Castile soap, hot water and essential oils. I also use Finish dishwashing pods in emergency and Dawn for hand wash liquid. Trust me on this and try. Once. Just follow my instruction, ..
Now you can try my trick and show-off! Place trust in me and follow my instructions. You will not fail. Agree with K4 about this - making ghee is the easier part, cleaning after is the real headache. would that happen in the cooker?